UPDATE: The FAIR-U training app is now available. Get access to the web app now. At the FAIR Conference in mid-October, the FAIR Institute will introduce FAIR-U, our first officially sanctioned training application for running FAIR risk analysis, guaranteed to correctly leverage the FAIR model. If you’ve been looking for an easy way to put into practice the concepts you learned in the FAIR book or a FAIR training course, or to test risk quantification before paying for a commercial solution, FAIR-U is for you. 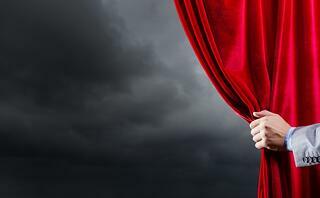 The tool will be offered free of charge by RiskLens, the Institute’s technical adviser. And if you’re one of the dedicated do-it-yourselfers who developed your own application to run FAIR by patching together multiple spreadsheets and programs, maintaining lines of code and data libraries, with no assurance that everything would work together according to the FAIR standard – well, our hats are off to you but your life just got a lot easier. To be clear, the new FAIR-U has limitations: You’ll only run a single risk analysis at a time, with no capacity to aggregate multiple scenarios. But the application builds in key features, such as Monte Carlo simulations and calibrated estimates and data ranges, that require programming in the do-it-yourself, spreadsheet approaches. 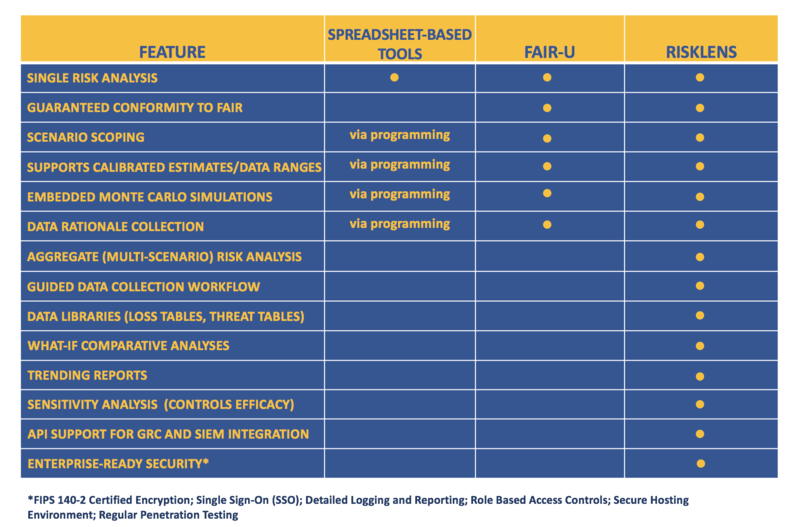 See the chart below to compare FAIR-U to spreadsheets and a commercial solution such as RiskLens. Ready to get your hands on FAIR-U? We encourage you to join us at the FAIR Conference in Dallas, October 16 and 17, for the product announcement and a live demo. Or contact us to receive an email alert when FAIR-U is available to the public.